Sveinung Jørgensen (left) and Lars Jacob Tynes Pedersen from NHH Norwegian School of Economics together with the group of pilot project participants. The project aims to increase competence on sustainability and environmental issues among executives and technical managers. GCE NODE is committed to the industry’s road map for a more sustainable future. In this project, we aim to increase competence on sustainability and environmental issues among executives and technical managers. 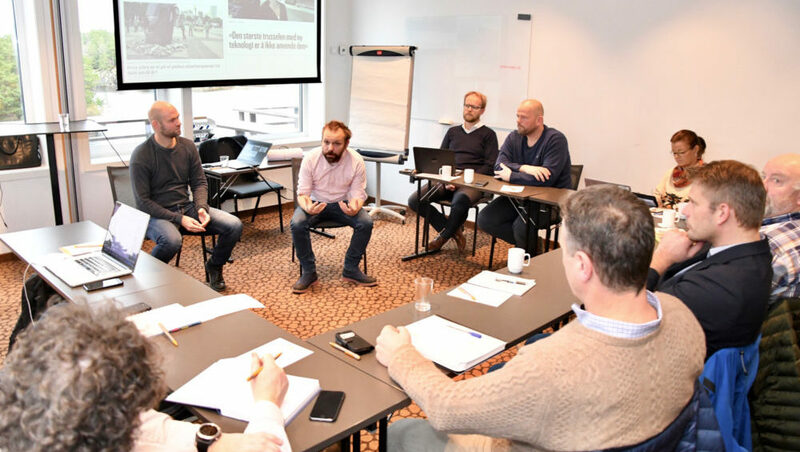 GCE NODE has partnered with NHH Norwegian School of Economics to develop courses related to typical GCE NODE participants, B2B and part of a complex supply chain. GCE NODE’s pilot project for the development of sustainable and profitable business models is underway. GCE NODE and NHH Norwegian School of Economics invite you to learn more about how to develop sustainable and profitable business models.